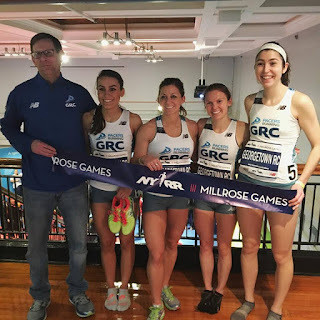 It was an exciting weekend for Pacers//GRC-New Balance! 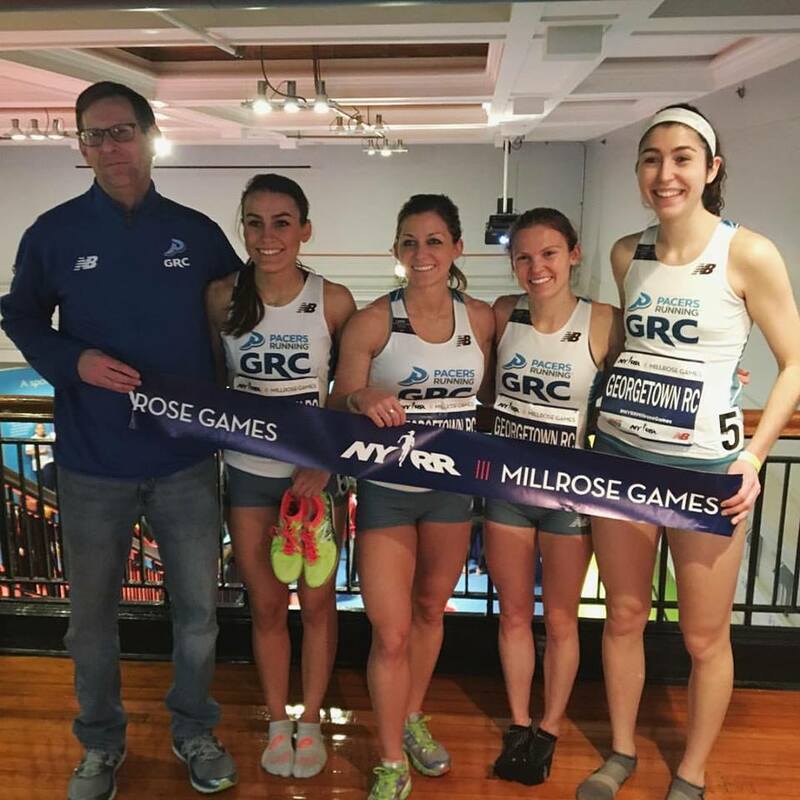 The women's DMR continues to shine. They returned home triumphantly from New York City, after placing first at the Millrose Games - "the world's longest running and most prestigious indoor track and field competition" - with a time of 11:44. This time crushes the former GRC club record (set a few weeks ago at the Terrapin Invitational) of 12:22. We expect to continue to see great accomplishments out of these women in the weeks to come. 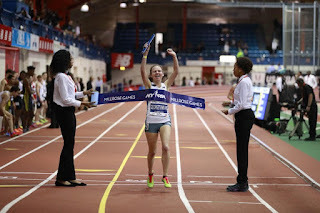 Alyson McGonigle led off with a time of 3:37.06, neck and neck with Central Park Track Club when she handed off the baton. 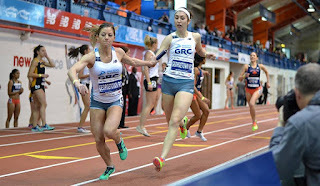 Alex Morris took the lead after about 175m into her leg, handing off to Jesse Carlin in 58.8. The women led the race the rest of the way, with Jesse (2:13.87) and Steph Reich (4:54.27) running unchallenged. According to Coach Jerry, "Everyone ran great, and it was a total team effort." Meanwhile at the Boston University Valentine Invitational, Elena Barham ran a 3k PR of 9:45.9 - placing her 2nd on the GRC all-time list; followed by teammates Frances Loeb (10:10), Elyssa Gensib (10:23), and Liz Tawa (10:23). Not to be outdone by the ladies, the GRC men also ran excellent performances this weekend. Kieran O'Connor placed first in the Pacers Love the Run You're With 5k with a time of 15:14, and Jerry Greenlaw brought home a win in the Run Your Heart Out 5k in 15:38.